One of the most common disabilities you’ll see in the new pile of referrals on your plate this fall will be a vague reference to “reading disorders.” The regular classroom teacher has many strategies for teaching reading in her domain, but there are always odd-man-out students whose reading skills are so low that they may require special education intervention—but do they? Many SPED teachers I know, especially resource teachers, are often commenting on the number of students they have who are not really learning disabled, but are just behind in reading. Once a student falls behind, it may take strong measures to bring him up to grade level. 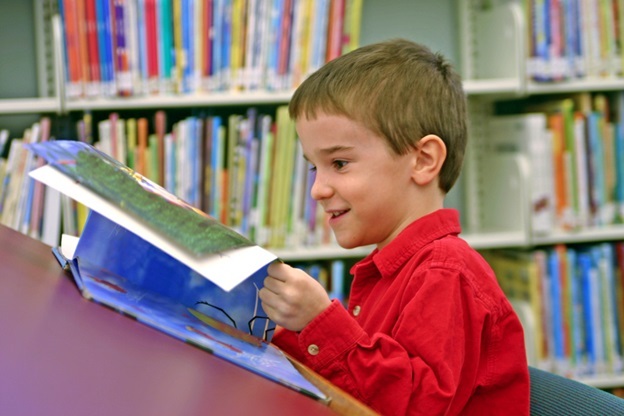 If a reading-challenged student has passed through committee and it is determined he will require your special skills, there are tactics you can use to help him right away. In general, you are not a reading teacher. You are always teaching reading, but it is not your specialty. So, how do you help these students? Your goal should be to get these students out of the special education pipeline and back into their regular classrooms full time. You don’t have time to be a dedicated reading teacher for students who otherwise have no need of your services. In fact, in some schools the special education teacher has devolved into being an overqualified and specialized reading teacher. Your first line of defense is the IEP. Within the confines of that document, you can construct a path for a return to regular instruction. You will be wise to make it the first goal in the learning objectives of the IEP. “Student will be provided targeted reading support for return to the regular classroom.” Or, if a student is being referred for the first time, work with your teams to prevent placement (RTI). These days there are many ways to accomplish this. One of the reasons I became a special education teacher was to apply my love for educational technology to students at risk. There is an ever-growing list of reading instruction programs online to serve as additions to your district reading program. I’ve provided a list of resources for your perusal below. One of the positive things about digital instruction in this case is that students take to it almost immediately (in general). In addition, you can structure and schedule instruction to set you free to provide more sophisticated services like assessment and evaluation. You will have the time to fine-tune those skills. There are many tools for integrating distance learning in your classroom. Remember, reading instruction is part of what you do—not your entire life. I have found that tablet computers and mobile learning devices have greatly helped us provide the key resources needed to bring reading levels up to par so students can return to the regular classroom. The devices are right there at all times; students can tune in to their prescribed programs any time from school or from home. Take a look at the virtual stack of IEP’s that have been given to you for study over the summer. I’ll bet more than half have targeted reading instruction for students who may not be truly disabled. You might start a task force in your district to study this issue to find early intervention for these kids so they aren’t referred for SPED services in the first place. Description: The foundation provides resources to programs and to nonprofit organizations in the areas of oral health, animal health, and occupational and physical rehabilitation. Funds are granted for: Health and Human Services programs related to the focus areas that benefit economically disadvantaged people or youth with special needs; and Education as it relates to the focus areas, especially programs that increase the number of underrepresented people in the dental, veterinary, occupational health and physical health fields.